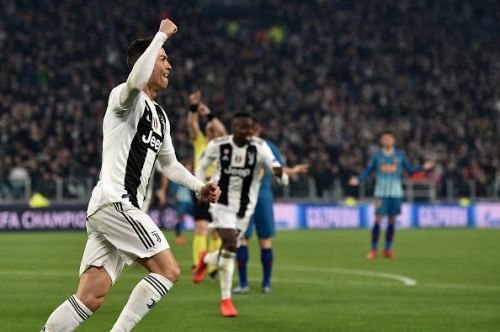 Cristiano Ronaldo’s eighth career hat-trick in the UEFA Champions League inspired Juventus to pull off a stunning comeback against the Atletico Madrid. The Spanish side had a two-goal advantage from the first leg before they stepped in Turin, but their old nemesis haunted them again and knocked Los Rojiblancos out of the continental club competition. Astonishingly, since the 2013-14 season, Atletico Madrid have been knocked out of the Champions League five times by a team which had Ronaldo in their ranks (4 times for Real Madrid and once for Juventus). 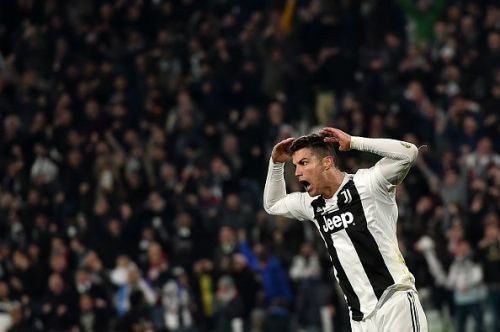 Ronaldo once again showed his class and helped Juventus to complete the improbable task of overturning a 2-0 deficit from the first leg against a resolute Atletico Madrid side. The impact he has had when it comes to deciding a Champions League tie is just unthinkable, and it's not the first time he left his mark in the knockout stages of the premier club competition. "Cometh the hour…. Cometh the man”, this old little cliché is all that we need to summarise Ronaldo’s whole career. The Portuguese superstar has been magnificent when it comes to deciding the fate of big games. He is a man made for grand occasions. It was not the first time Ronaldo overturned a 2-0 deficit from the first leg on his own. The Bianconeri talisman did the exact same thing three years back when he destroyed Wolfsburg single-handedly at the Santiago Bernabeu by scoring a terrific hat-trick under pressure in the second leg. This man has been delivering in the big European nights over the last decade for every team he has played for, and his prowess to impact a tie can never be compared to anyone. We have seen in the past that nerves can take over talent and impact the final result, but the former Real Madrid superstar has got nerves of steel. He can remain as cool as a cucumber in crunch situations, and this very attitude makes him the player that he is today. There are plenty of examples of how he had dealt with tricky situations with expertise. 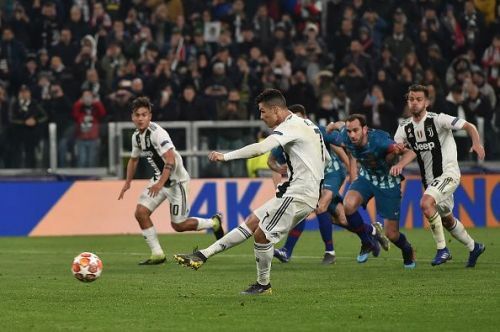 The penalty he scored in last season's Champions League quarter-final second leg against Juventus in the 94th minute of the game is a perfect example of his temperament, and last night, when his team were 2-0 down and on the brink of Champions League elimination, the 34-year-old man stepped up and delivered yet again. One can argue whether he is the best player of this generation or not, but one thing that cannot be questioned is Ronaldo's ability to remian calm in difficult situations. With the hat-trick against Atletico Madrid, Ronaldo became the first player in history to score 125 UEFA club competition goals. The 34-year-old also bagged his 8th Champions League hat-trick and is now tied with Barcelona star Lionel Messi. 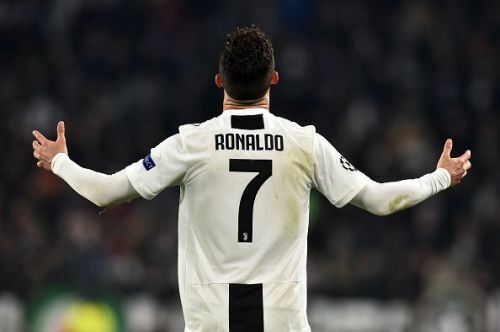 Ronaldo has now scored a staggering 62 goals in the knockout rounds of the Champions League, while he has been involved in 76 Champions League knockout goals in just 77 matches. Some of his other records in the Champions league are - most home goals, most away goals, most goals from free-kicks, most goals via penalty, most goals off headers and most assists. These stats are just an example of how clinical he has been over the years and when it comes to the Champions League, no one in the world is as lethal as he is.